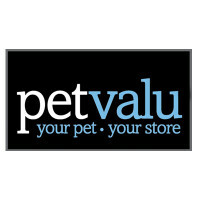 Pet Valu is a retail chain of stores that is dedicated to pets and supplies. They offer a wide range of products to truly care for your pet. They sell premium pet food, must-have accessories, and toys and grooming items to keep your pets entertained and properly groomed. For more information on your Pet Valu application, follow the link below. Founded in 1976 in Toronto, Canada, Pet Valu can be found across Canada and the United States. Today, there are roughly around 300 franchises in Canada and 370 in North America. After 30 plus years in the business, Pet Valu continues to find success and continues to grow at a consistent pace. Pet Valu takes pets very seriously. They give back to local pet oriented charities in the communities. Since 2013, they have raised over $3,500,000 in funds and product donations for local shelters, rescues, and other charities. They also collect donations for pet food bands in store. These types of donations are often forgotten by most people, but it is very important for this company to help these animals. If you love animals and are passionate about them, this company may be an excellent fit for you. They are looking for animal lovers that have excellent customer service skills. They are also looking for people who are knowledgeable in pet products so that they can properly assist customers. If this sounds like you, apply today. There are plenty of opportunities in this company for people with all types of strengths and talents to find something here. The retail stores offer plenty of entry-level positions for employees to turn their job into a Pet Valu career. Some positions at the retail level are sales associate, assistant manager, keyholder, and store manager. There are also plenty of opportunities for those interested in working in the corporate office. The positions at the corporate office are generally higher level positions, though there are some positions that are entry level. There are many different types of positions that can offer opportunities for a wide variety of skills and talents. Some of these positions include help desk analyst, inventory analyst, safety & risk manager, and receptionist. The different positions at this company have a different set of requirements to gain employment. Entry-level positions may only require a high school diploma or equivalent, while higher level positions may require at least a college degree and a few years of experience. How old do you have to be to gain employment at Pet Valu? The minimum age of employment is 18 years of age. Pet Valu offers a similarly competitive benefits package to other stores in this industry. Employee eligibility may vary depending on hours worked weekly and job title. Some benefits may include health insurance, dental and vision insurance. They may receive store discounts, paid time off, and a 401(k) plan. Some also get tuition reimbursement and access to leadership development programs. The hours of operation may vary depending on location and holiday hours. During the holiday season, the stores may be opened longer to accommodate holiday shopping. Generally, hours of operation are Monday through Friday from 9:00am to 9:00pm, on Saturday from 9:00am to 6:00pm, and Sunday from 10:00am to 5:00pm. Sales Associate- A sales associate is the primary point of contact for customer service. Some are found on the store floor assisting customers. They should be knowledgeable about the products and items in the store to answer questions. They will also handle customer transactions at the register. A sales associate may earn around $9 per hour. Set Up Crew- The set up crew is responsible for setting up the store in accordance with company policies. They will set up merchandise as determined by the company standards. They coordinate with all the contractors and vendors as the need arises. They assist in the setup of fixtures and other assets in the store. A member of the set up crew may earn around $10 per hour. Assistant Store Manager- The assistant store manager will assist the manager in running the daily operations of the store. They may help do employee reviews. They will also train new employees. They will assist in the store when they are short-staffed. The assistant store manager will also help resolve customer complaints. An assistant store manager may earn around $12 per hour. Store Manager- The store manager will run the daily operations of the store. They will hire and fire employees as necessary. They will ensure that employees are aware of all company policies. They are responsible for running team meetings. The manager will ensure their inventory is stocked. They are responsible for their store’s budget and payroll. A store manager may earn around $50,000 a year. Why do you want to work at Pet Value? This question requires some research prior to your interview. The interviewer is asking because they want to know if you understand the company’s core values. Explain which values that you share with company and why that makes you a good fit. Where do you see yourself in 5 years? The interviewer wants to know what your long-term plan is to determine if you are someone who is going to leave after a short time. Explain what your future goals are and how the company fits in with those goals. Why should we choose you over the other applicants? The interviewer is giving you the opportunity to sell yourself as their ideal employee. Explain your strengths and how you feel the company would benefit from them. Be confident but try not to be too boastful. Do you have any pets? This is a pet store and it is preferred to have employees that have knowledge about products in the store. Answer with how many and what kind of pets that you have. You may also add in certain things that they enjoy and how those pets will help you be a more knowledgeable employee than someone without them. Why did you leave your previous place of employment? The interviewer is looking for an honest answer why you are no longer employed by them. Be honest about the reasons without being too negative about the company or your former boss. Wondering how to apply for a job at Pet Valu? You can apply for a Pet Valu job at the Pet Valu jobs online for certain positions in the corporate office. For retail positions, you will need to fill out an application form in your local store. There are no printable applications online. There are no downloadable applications online. You may also email your resume for corporate positions in America. The website has the job descriptions and responsibilities clearly stated on the website for potential job seekers to find a position that is a good fit for them and something they can excel at. You should only apply for positions that you qualify for otherwise your application may not be considered or taken seriously. You should fill out your application completely and in accordance to the instructions provided. You should submit your resume to give the hiring manager a clearer view of your skills and experience. You should hear back within a reasonable amount of time. If not you can call to check the status of your application and see if they are still hiring for that position. You might consider preparing for your interview before going. Ask yourself potential interview questions and answer them aloud. This will help you be less nervous as well as being more confident and articulate. When you go to your interview, be sure to dress professionally. Doing so can give a great first impression that may increase your chances of success and getting the job. The Learning Experience: For employment at The Learning Experience visit the application page. Desert Sun Tanning: For employment at Desert Sun Tanning visit the application page. Molly Maid: Use the Molly Maid job application to apply here. Primrose Schools: Use the Primrose Schools job application to apply here. Packaging And Shipping Specialists: See our guide for careers at Packaging And Shipping Specialists.